Located in the middle of the jungle, Casa Jaguar is owners Diego Quintana's home. We offer Mexican food inspired by ancient Oaxacan dishes. Our chef Roberto Tax Ku has created modern yet traditional dishes with a twist. Welcome to the jungle! Located in the middle of the jungle, Casa Jaguar is owners Diego Quintana's home. 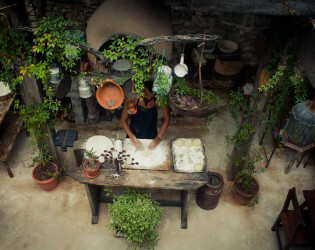 The food, space and the concept are influenced in travels most of them through his native Mexico. Chef Roberto Tax Ku, grew up in Oaxaca and is very influenced by the food and style of Mexican dishes from that part of Mexico.. Mixing Caribbean products with real Mexican influence. Apart from the venue rental, catering and drinks we add an +15% service fee. The venue price includes, decoration, lightning, music equipment, etc. Situated in the jungle of Tulum, 50 meters from the oceanfront you can find one of the most influential restaurants of Quintana Roo. Designed and curated by the owner himself, Diego Quintana and his mother Patricia Calles, you will find inspiration in the design from their trips in Mexico, Asia and India. We offer Mexican food inspired by ancient Oaxacan dishes. Our chef Roberto Tax Ku has created modern yet traditional dishes with a twist. Welcome to the jungle! 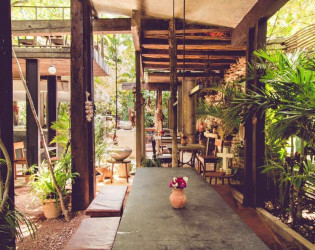 In the middle of the jungle you can find our outdoor space carefully designed, keeping the bohemian chic essence of Tulum in mind. 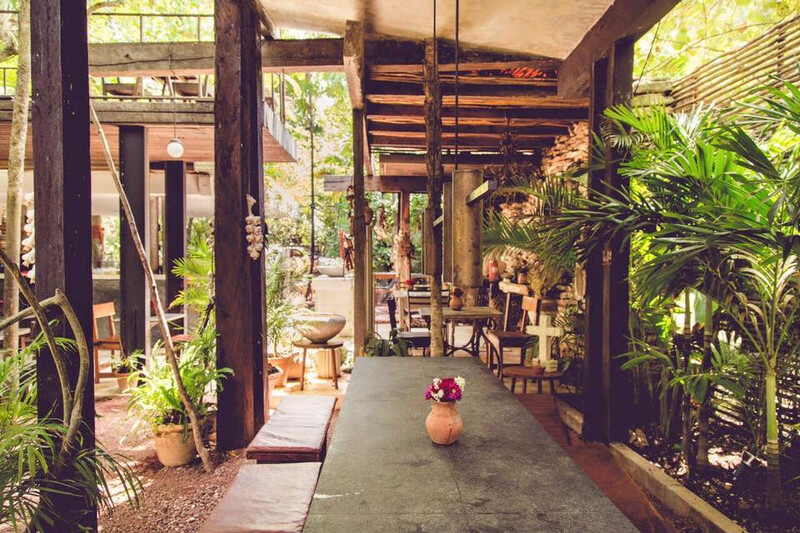 Casa Jagua has a beautiful backyard where every Thursday bonfire parties are hosted for Tulum locals and tourists. Enjoy one of our Casa Jaguar cocktails in this unique jungle experience. We host many events at Casa Jaguar, and every event we make sure that the place is beautifully decorated with special lightning and flowers. Since Casa Jaguar is so carefully designed we look to keep and guard the restaurants atmosphere in every event we host. Awards & Notables We recently hosted Summit and over the year we have hosted many bloggers from around the world. Bar situated in Tulum pueblo. - View: Beautifully and hand decorated bar. Located in the middle of the jungle, Casa Jaguar is owner's Diego Quintana's home. We host many events at Casa Jaguar, and every event we make sure that the place is beautifully decorated with special lighting and flowers. 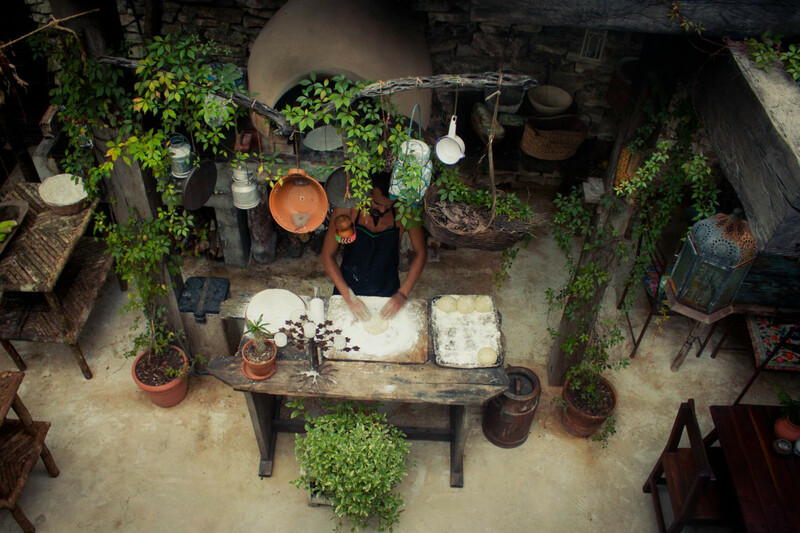 The food, space and the concept are influenced by his travels to Mexico. Casa Jagua has a beautiful backyard where every Thursday bonfire parties are hosted for Tulum locals and tourists. Situated in the jungle of Tulum, 50 meters from the oceanfront you can find one of the most influential restaurants of Quintana Roo. Designed and curated by the owner himself, Diego Quintana and his mother Patricia Calles, you will find inspiration in the design from their trips in Mexico, Asia and India. We offer Mexican food inspired by ancient Oaxacan dishes. Making pizza for the kids.